The servicing, maintaining and repairing your vehicle can bring unexpected costs that you haven’t budgeted for, but leasing can help you control these costs, if only by virtue of the fact that you’ll usually be driving a car that’s covered by a warranty. If you want a little more financial security, though, or you’re planning on a lease contract that’s longer than the vehicle’s warranty period, you can opt for a lease which includes maintenance. This varies from dealer to dealer, but generally maintenance packages will include annual servicing and any warranty work necessary. Beware, though, that consumables such as brakes, tyres, windscreen wipers and the like may not be covered. Some dealers, however, may offer more comprehensive packages which include tyres or windscreen repairs. If you want to know more about the maintenance included with a specific deal, you should contact the advertiser. Whether you go for a deal that includes maintenance or not, though, it’s always best to ensure your car is properly maintained. That way the car will be safer, as well as less expensive to run. Here are some simple things you can do to keep your car roadworthy. 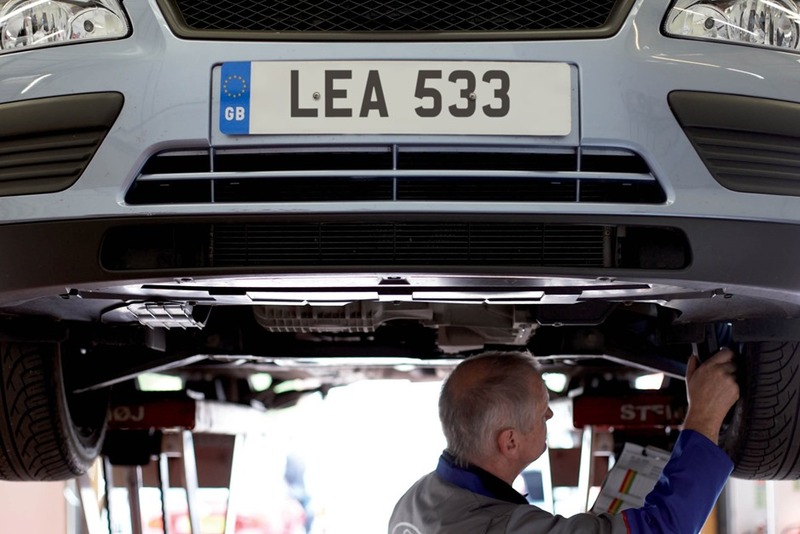 Regular maintenance and servicing should be carried out by a franchised dealer or an authorised agent according to the manufacturer’s guidelines and the vehicle service record must be stamped at each service. Failure to do this could lead to some big costs at the end of your lease, so don’t just assume the service record has been stamped; double check. In addition, any defects or damage that occurs during normal vehicle usage should be rectified as soon as practically possible. This will ensure that the potential consequential damage is minimised. We would advise that the following are checked weekly, even if your vehicle is on a full maintenance contract; it is still the driver’s responsibility to ensure regular checks are in place in between services. Make sure that vehicle keys are kept safely with the spare key always stored in a different place. Car thieves often target the keys as the easiest means of stealing vehicles because manufacturers now achieve very high levels of vehicle security. As a result, we recommend that you never leave keys in a conspicuous place in the house and certainly not in the hallway within reach or sight of the letterbox. Regular cleaning of both the exterior and interior of the vehicle will ensure a good cosmetic appearance. Polishing the vehicle exterior around four times a year will also help reduce the effects of any stone chip damage, remove traffic film and make routine washing easier. It is recommended that any damage to the paint is repaired as soon as possible after it occurs, especially when the damage has penetrated the base coat or has caused corrosion. All franchised dealers parts departments will stock "touch-up" paint and these are available at a nominal cost. Keeping touch-up paint in the vehicle ensures than any stone chips or small scuffs can be attended to usually without having to seek assistance from a body shop. Advertising or sign writing should never be painted directly on to the vehicle and should be fitted so that is can be easily removed without damaging any part of the bodywork or paint. The manufacturers invest a good deal of time and effort in the preparation of the vehicle operation manuals. Always read this prior to using your vehicle and have the manual to hand so you can consult it should you have a query or operation problem. If you have radio code or key code numbers in the hand book, we advise you to remove these and keep them in a secure place away from the vehicle in case they are required.